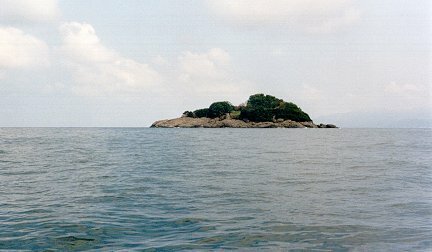 This legendary small Black Sea island near the port Giresun was regarded as the sacred island of the Amazons. Its name was «Aretias», Island of Ares. Up till now there was not much research work there. That is why we launch this new project. We want to initiate and support research work there for showing the special significance of this island for our history. We invite adventurous people who are interested in archaeology to take part in this new research project. We are addressing local people who are living in the Giresun region, as well as adventurous people from farer away who are going to visit this island, make some investigations, take photos and send them to us. These photos will be published on our web-site (with the name or pseudonym of the owner or anonymously if wished). That photo which is the most significant one for the investigation of Giresun Adasi will get an award of EUR 500,-. Subsequently, the best photos are published in a book in cooperation with the publisher EBOOKS.AT. The copyright remains with the owner of the photo, you just grant us the right to publish it on the internet and possibly in the subsequent print edition. The Black Sea island Giresun Adasi is located north of the port Giresun, about 1 km away from the mainland. The island is situated rather exactly opposite the month of the river Aksu Çayi.